I admit it. I love music. I am primarily a fan of classical music. 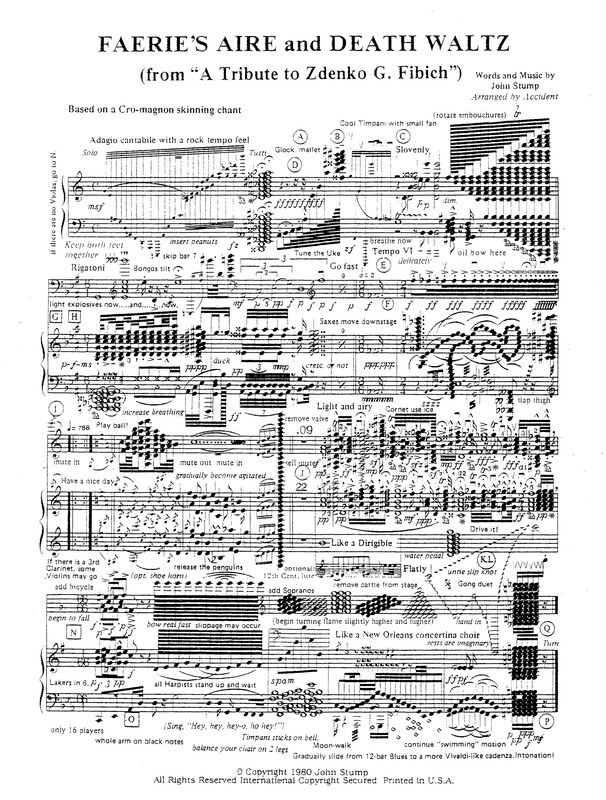 I can’t say if the music score in the image is classical or something else. Honestly, I often feel that way about modern, or perhaps contemporary, Christian music. Sometimes, it is just a bit out there, and that is before it is used during the worship service. Wait! What do is this about the worship service? Good question. I know I am going to be killing some sacred cows on this (and making a burger), but it must be done. Contemporary “Christian” worship is anything but Christian. Seriously, look at it objectively. The fact is, outside of the liturgical settings found in some of the older church groups, much of what passes for a contemporary worship service resembles something akin to a rock concert and feel good speech. True, there may be a passing reference to scripture in either the music or the speech, but it will be the least offensive thing that can be found that can also be used to affirm our feelings. Hate to break it to you, but it is heresy. Before calling in the lynch mob, why not take a closer look. We can start with the music. I often wonder how many songs on “Christian” radio are actually scrutinized before being broadcast over the air. Some of it is absolutely atrocious. One such song was called “Brave”. It is a “pretty song”, but it is also completely empty of law or gospel. I know, some fans might try to argue about the lines regarding love and fear, but I would be just as quick to point out that similar themes exist in “Nothing Gonna Stop Us Now”, which is NOT a Christian song. Hold up. 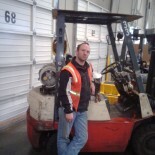 I know, you might be thinking “you are really out there on a ledge forklift guy”. I’m not. I noticed this phenomena a few years ago. There was a song on Christian radio called “It takes a little time”. Some reading this may even know it. I first heard it on the local Christian station here in my home state. I didn’t think much of it at the time. I guess I just considered it a song about repentance or some such thing. A few years passed and I heard it on an Adult Contemporary station, and then later on a Contemporary Country station. It wasn’t until I looked at the lyrics that I figured out what was going on. It was written by a formerly popular Christian artist (who was later scorned by Christians for going into Country music) and had nothing in it that was even remotely offensive, nor was it even remotely Christian in its lyrics. That is when I started to take notice of what the lyrics were saying in many such songs that started on Christian radio and made it onto other genre based radio stations. Nothing really drove home for me more than when I was visiting a local non-denominational that is easily viewed from from a major highway. They were singing “Brave” as part of the worship. I was floored. I was attending what I thought was an evening church service, and instead it looked more like unto a rock concert. Were there any songs that mentioned Christ Jesus? Yes, but they were as watered down as could be so not to offend anyone. Additionally, they all had a “me” aspect to them that was just about vulgar. I had not realized how empty these songs were prior to that point. I suppose that some might make the claim “Martin Luther simply adapted bar tunes for use in church”. That is an interesting, but slightly exaggerated claim. True. Luther’s material was slightly influenced by bar room singing. However, none of Luther’s tunes were lyrically based upon anything sung in a bar. If you want a bar tune, the US Navy does a better job with the song “Anchors Aweigh”, as that really is a drinking song. What Luther did was to take the singing style he heard in the bars, and adapt the style for corporate worship, though using the scriptures to influence the words used in the songs. I would be really surprised to find a song in a Lutheran hymnal from any era that had God, Christ Jesus, and the Holy Spirit drinking a round of beer. Simple truth, when you are singing songs that are empty of scripture and highly self oriented, you are not worshiping God. Your worship is of yourself. When a song says “I’m laying it down” or “I want to” as part of the worship, you are making yourself the center of worship. Seriously, take the lyrics to any number of contemporary worship songs and compare them to what is found in a standard Lutheran hymnal. You may find a few contemporary songs that are scripturally sound, but you may also find that they were likely “yoinked” from a hymnal (“Come thou fount of blessing” is one such example”). However, the bulk of them are either devoid of scripture or play fast and loose with scripture. Both are wrong. Think for a moment, what does that do with worship. Let’s be honest, what we sing about is what we are worshiping. If your worship service incorporates a bunch of songs involving something that you do, then it is quite safe to say you are not worshiping God, you really are worshiping yourself. You might give God honor with your lips, but your heart is not there. How awful do I think contemporary “Christian” music is? I rarely tune into the local “Christian” station anymore. Last time I did, they called themselves an “inspiration station”. Odd. I would argue that in doing so, they are denying Christ, but that is my opinion and I can’t possibly know what the motivation really is, but I would guess money. Does God want us to worship him? Yes. With songs? Yes. However, we must use discernment when we sing. Some songs may have been written by a popular “Christian” artist, but that doesn’t mean that the song belongs on a Christian radio station, or even in a church worship setting. Some songs are so awful, they probably belong in the round file, and forgotten. Not really a forklift perspective today. More of the perspective of a guy sitting in the church and trying to understand what is going on. Sadly, much of what passes for worship in many modern churches is the stuff that would have driven me away from the church two decades ago. I know that sounds harsh, but it is honest. When we worship the Lord our God, we must do so with reverence. It must be about what he did for us at the cross. It is not about us and what we do. It is about him, and his sacrifice of his son for our sins. It is about his sending the Holy Spirit to guide us and to seal us unto the day of judgment. It is not about us, and it never can be. I don’t care how catchy a contemporary Christian song is. If it doesn’t speak of God’s law and God’s grace, it isn’t a Christian song. If it speaks of me doing something, it isn’t a Christian song. If it does not bring to mind the words of scripture, it is not a Christian song. I wonder how many songs are being used in churches that aren’t Christian songs? Incidentally, that song “God’s Not Dead”, hint: it is the devil who goes about roaring like a lion (1 Peter 5:8). This entry was posted on 13/09/2015 by Christopher Rose in Discernment, Idols, Traditions and tagged Anchors Aweigh, Brave, Country music, hymnal, lynch mob, Martin Luther, music, Nothing Gonna Stop Us Now, rock concert, round file, Worship.